This June, Splash Math launched the Summer Program 2018 with an expanded array of features – personalized math practice, weekly skill enrichment packs, interactive games, weekly reports, and a detailed diagnostics assessment – packaged into one program! Summer is fun time. It is synonymous with long-awaited family holidays, backyard picnics, poolside fun, Hollywood blockbusters, and just lazing around in the house. What is not to love when kids learn math with their favorite elements – Ice-creams, Ducks, and Watermelons. While your 7- or 9-year old enjoys the summer fun, we are just a tad bit concerned about his increased screen time and learning loss during this time. Which is why we created the Summer Program that has been wildly popular among K-5 students in US. Remember, kids who lack stimulating and substantial summer experiences could lose up to three months of learning from the previous school year. Summer vacations are a great time to help your kid make friends with math. That’s exactly what Splash Math App does so intuitively. As teachers, you would be familiar with the reluctance that comes with the words – summer school. Students are eager to bid farewell to school, hoping they wouldn’t have to see the inside of a classroom for another two months at least. However, what this means for teachers is a considerable amount of time spent during fall on recapitulating what was taught in the last grade. Research shows that teachers spend at least 6 weeks re-teaching previous grade’s material to bring students back to the level they were on when they went for summer break. Ask any K-5 school teacher what are the two words they dread the most when they begin teaching a new class, chances are they’ll answer “summer slide”. More formally referred to as summer learning loss, the phenomenon has been studied extensively by many researchers, and the statistics are overwhelming. Math, in particular, is the most severely hit. Students on an average lose 2.5 to 3 months’ worth of math learning during the holidays. This essentially means that children spend about 6 weeks re-learning the concepts that they already studied the previous year. 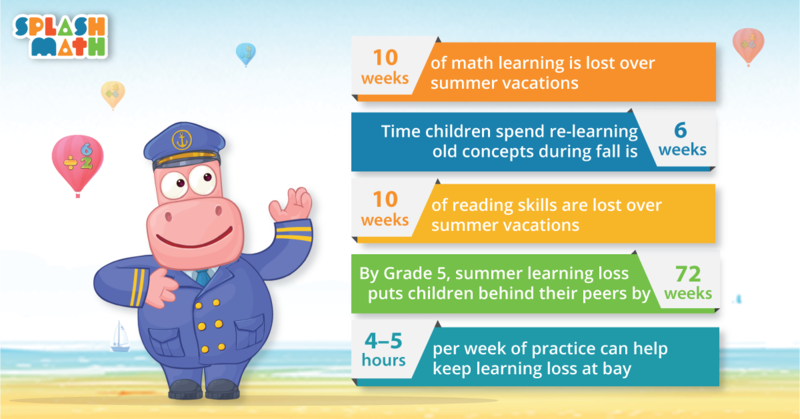 To make matters worse, researchers have found that by the end of Grade 5, children who experience summer learning loss are, on an average, 18 months behind their peers. Naturally, the need to avoid this summer brain drain cannot be overemphasized. With children’s attention spans often being compared to that of a goldfish, we as parents know how hard it is to grab and hold their attention. And when your aim is to make your child learn, you are always playing catch-up with them. Just when you thought this new puzzle could be your child’s next go-to game, you realise your child has already moved on. Now, with parents and teachers continuously looking for newer ways to hold children’s attention and make them learn, the need for creative ways to do so has never been greater. To top it, summer is around the corner, which means more time to bond with your child, zillion things to learn over the summer, and ample opportunities to help your child avoid the much-dreaded summer slide. The Internet is brimming with ideas on how to continue to learn over summer vacation. However, you should choose what resonates with you and your child. 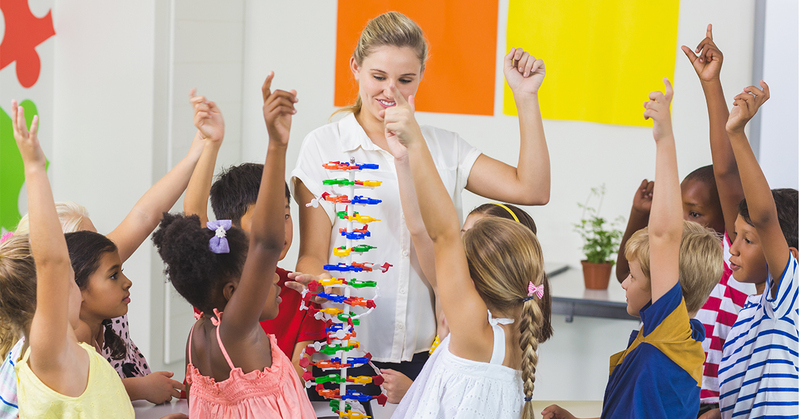 As a starting point, here are four creative, fun math activities for summer that are sure to keep your child engaged and learning. 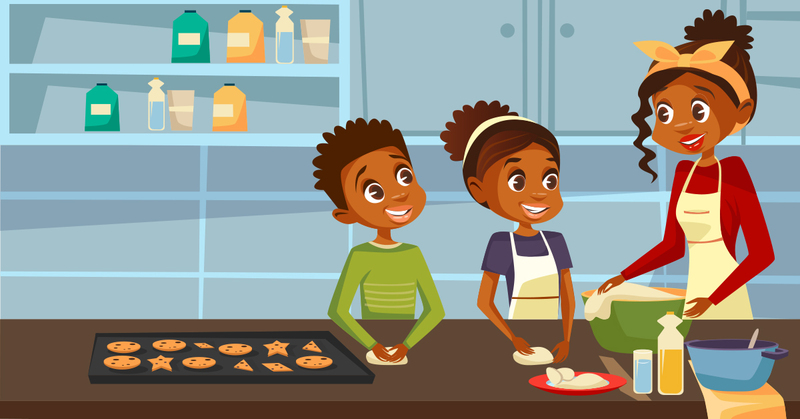 Cooking offers ample opportunities to hone your child’s math skills. 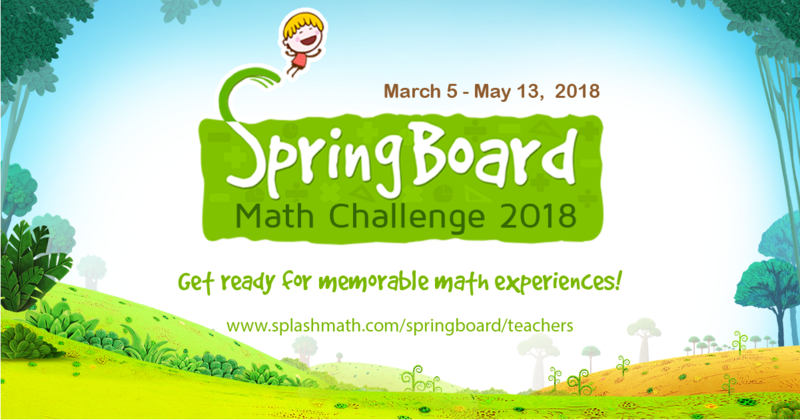 SpringBoard 2018 kicked off on March 5, 2018. Teachers and students across the USA have been uber excited about the 10-week math contest. So are we! During the second week, over 20% schools achieved all the contest milestones and went on to win bonus rewards. The sheer percentage of winners speaks volumes about the enthusiasm in math classrooms. Hope your students are enjoying Splash Math. Your school has invested a good amount of resources in helping students get better at math. Splash Math is a part of that. We are making efforts to provide a heart-some math practice for elementary kids. As summer approaches, parents are looking for good math programs to prevent the learning loss. Familiarity with the non-standard units of measurement makes understanding standard units of measurement easier. Kids often find mathematics daunting, but many such experiences are influenced by the general consensus among adults, rather than their own contact with it. Everyone talks about mathematics being hard rather than interesting, so how can we expect kids to love it? 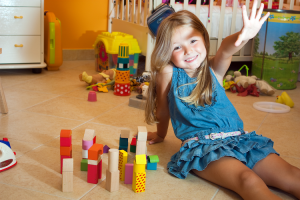 Here are our top five tips on making math fun.